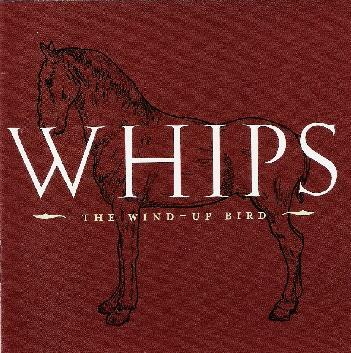 The Wind-Up Bird - "Whips"
The Wind Up Bird is the project of multi-instrumentalist and composer Joseph Grimm. On Whips, his second full-length CD, Jeff Smith joins him playing additional guitar and keyboards. Inspired by avant-garde composers such as Terry Riley and Gyorgy Ligeti, Grimm nonetheless forges his own sound comprising a unique blend of guitar, pedal steel, violin, keyboards and trumpet. Whips consists of two lengthy pieces, ostensibly divided into different movements, but the transitional points are quite arbitrary, at least in the first of the pieces. Sorry That I've Become This Monster evolves through various states. Each movement blends and evolves slowly into the next, from quiet finger picked acoustic guitar played through shimmering drones, to multi-layered, multi-tempo soundscapes that slide and shift over one another, to experimental noise and sample mutilation. The latter occurs near the end, in the movement bearing the "This" portion of the title. Despite its noisy nature, the continued repetition of a female voice saying "I love you a lot", with each iteration becoming more and more distorted and unrecognizable, is strangely moving. Intriguingly, that sample becomes the title of the second piece. I Love You A Lot's first movement is an exploration of layers of glittering sheets of ambience. The second movement becomes more experimental, utilizing droning instruments and static that evolves into deep rumbles of noise. Suddenly cutting off, we find ourselves in the final movement, a quiet deepspace drone that evolves into a gentle, elegiac and melodic composition to finish things off. Perhaps this is ambient music in the sense that Eno originally envisioned, music that can float along in the background just as easily as it can be up front in the listener's attention, because I found through multiple listens, depending on my mood, I could either just relax and float away on both the music and my own thoughts (even when it evolved into noise experiments), or I could focus, listening intently to every layer and beautiful transition. Ambient fans up for music that is a little more challenging than the usual will definitely enjoy this album. For more information you can visit The Wind-Up Birds web site at: http://www.thewindupbird.com. Visit The Music Fellowship web site at: http://www.musicfellowship.com.